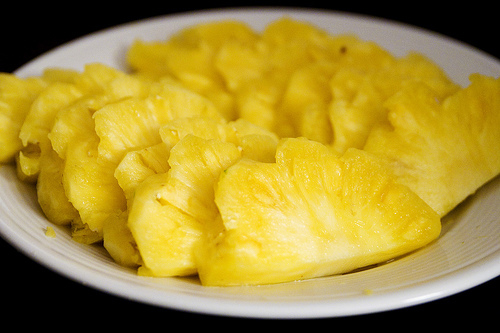 I love pineapples. They are one of my favorite foods. We happened to buy one this week, and it was so good I thought I’d finally write a piece about the yellow jewel. While I normally write about my favorites recipes when I write about a specific food, I really love pineapples in one way much more than any other — plain and simple. So, I don’t have any recipes to share that compare (in my opinion) to a freshly cut pineapple.